If I tell you this is made due east of the Cahors region, you might have a slight clue as to where in the world I'm talking about. If I add it's a tad north of the region of Gaillac (and Toulouse), that might help. Slightly. 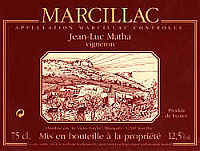 The appellation is "Marcillac" and it covers a mere 140 hectares of vines. The area used to be more thickly carpeted with vines, having 28 times the area in vineyards (a hundred years ago) as it does today! We have a lovely wine of this appellation, made by a guy who is a real character! He was studying for the priesthood when he said, "Oh God! No!!!" I understand Jean-Luc Matha also learned how to be a clown (there are many of us practicing this 'art' who are, coincidentally, in the wine business). Now he's a famous, leading producer of a French wine even most French haven't heard of. The grape variety in this region is Mansois. You might know this variety under another name, that of "Fer Servadou." I'd be surprised if you did! Matha makes two wines of Mansois. We have a delicious offering which is bright, raspberryish and with a hint of a spicy, peppery note. The locals describe it as red pepper, not black. Matha has been a leader in reducing yields in an effort to obtain more fragrance and flavor. He also de-stems the grapes, wanting to avoid bitter tannins. The 2006 vintage, though youthful, is delicious now. It may be the best we've tasted from Jean-Luc. We like this served at cool cellar temperature and it pairs well with grilled sausages enhanced by a fiery mustard (I like the French "Amora" brand or Colman's English...both are nuclear mustards!). Honor� Pascal owned this property for many years, the grapes were typically sold to either Domaine Tempier or Ch�teau de Pibarnon. He did make some wine for his own table, but they never bothered to bottle anything for sale. Honor�'s sons Alain and Guy decided to start their own winemaking adventure and this began in the late 1990s. They chose the name "Gros Nor�" in honor of their father. Their neighbor had already given his vines to Honor� to farm while Alain was off in the military. He would tell the young fellow that he should buy the vineyard and, some years later, he did. So Alain and Guy were assisted by their cousin Christian in launching this Bandol domaine and these days they are well-regarded by their perhaps more famous and prestigious neighbors. The estate is located in Cadi�re d'Azur on a hill that's showered by sunshine during the growing season. The Pascals cultivate in sustainable fashion and use no weed killers or pesticides. They plow the vineyards four to six times during the growing season and credit this attention to detail with producing elegant Bandol rouge. Vines for the red wine range from 40 to 60 years of age. We've had a few vintages of Gros Nor� in the shop. Currently we have the 2016 and it's a beautiful example of Bandol. Mourv�dre is the base of the wine, accounting for about 80% of the blend, but they also blend in some Grenache for fruity notes, Cinsaut for finesse and Carignane for acidity. We like the dark fruit of this wine and there's a touch of spice. It is showing well now, in its youth, yet can easily be cellared for five to ten more years if you like. 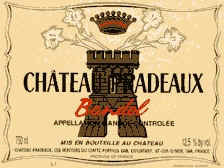 The Tempier name has been associated with Bandol wines since the 1830s. The property was a viable vineyard into the late 1920s when it was replanted with with fruit trees. In the 1930s, Lucie Tempier married Lucien Peyraud. Her father, aside from owning the orchards, was in the leather goods business. His grandfather was a gunsmith, while his father sold silk, but Lucien had been bitten by the wine 'bug' and studied agriculture in Provence. The couple settled on the Tempier estate by 1940 and in 1943 the first wine, a Ros�, was bottled. The rest, as they say, is history. A California wine importer did a fabulous job in promoting their wines and here in the San Francisco Bay Area, the name Tempier is synonymous with Bandol. We'd read about the great Bandols from Tempier during the 1980s and 1990s, but we recall the wines were often a bit odd, sometimes fizzy and strange. It was claimed by some that the wine's instability may have been due to the bottling demands made by the local importer (who also is allergic to wines which have been filtered). Now in the 21st century, the wines we've tasted of Tempier have been uniformly good and of sound quality. Of course, Bandol wines are based on the Mourv�dre grape. This is a variety which tends to make hearty, robust and fairly tannic red wines. And that's the nature of Tempier's Bandol. We have their Classic bottling in stock. This is roughly 75% Mourv�dre, with a bit of Grenache, Cinsault and a dollop of Carignan. The wine strikes us as being better balanced than the rustic wines of Bandol from years ago. The 2015 will pair handsomely with braised lamb shanks, hearty stews or roasts or perhaps duck. The Ros� has been a delight, though we understand the importer is hoarding this vintage and not interested in parting with some bottles. We found another Bandol Ros�, though, and it's quite good and about half the price of Tempier's. There's a lot of history to this property and the family that owns it. Jean-�tienne-Marie Portalis was born in Provence in the 1700s and was a big-wig in the Napoleon "administration." Portalis was a major author of France's "Code Civil," and he put his "John Hancock" on the deed purchasing a special piece of property in what is today the appellation of Bandol. The Portalis family still owns the estate and they are amongst the elite within the Bandol appellation, producing a textbook example of that vaunted French wine. The vineyards were largely replanted following World War II when the Baroness Portalis and her daughter, the Countess, decided to cultivate Mourvedre extensively. The Countess (Arlette) was also a mover-and-shaker in establishing the Bandol appellation and its requirements. Today Cyrille Portalis and his sons Etienne and Edouard run the estate, which comprises 21 hectares of vineyards. Mourvedre dominates the plantings, but they have a bit of Grenache and Cinsaut as well. No chemical fertilizers are employed, though they do use sulphur and copper sulfate. Their vineyards are close to 40 years of age and the wines are made not for those seeking instant gratification. The laws for Bandol require a minimum of 18 months aging, but Pradeaux's wine typically spends close to 4 years in large wood casks. No new oak, either, so if you're searching for a cedary, oaky wine, this is not for you. The wines are bottled without being fined or filtered, the sole 'clarification' being the sediment dropping out during its time in wood. We have the 2012 Bandol...a vintage that is certainly more approachable in its youth than the usual youthful Pradeaux wine. Pair it with hearty fare: think of a leg of lamb or roasted duck, braised lamb shanks, etc. There are some leathery notes, a bit of an earthy streak, hints of olive, underbrush and perhaps a note of anise. This can be cellared, too, for a decade, or more. But it's not a wine I'd offer to someone who's just starting to appreciate red wines or who has taste for Rombauer Zinfandel. The Ott name originates in Alsace, but today it is one of the most famed in Provence. 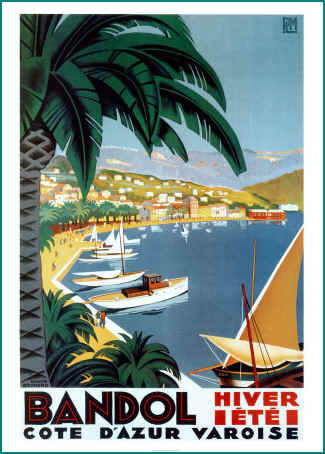 Marcel Ott's little foray to sunnier climes in the south of France have been bearing fruit for several generations. We have carried their wines for a number of years as they are rather a benchmark for this region. Tourists immediately identify the wines which come in distinctive bottles, as they have consumed these during their memorable vacation to France. The reason the firm is "Domaines Ott" is that there are several properties, not merely one. Ch�teau Romassan is their Bandol estate. The 2001 was available, a medium-full bodied red with some meaty notes on the nose and palate. It shows best when partnered with lamb or duck. Mourv�dre, of course, is the main grape. It is long sold out. The wines of the Cahors region should be better known. Given that so many people buy Malbec wines from Argentina, it's probably a good idea to know the wines from what is the "reference point." Such is the competition in the wine market, the vignerons of Cahors demanded the law change to allow them to identify the wines on the label as "Malbec." You may know the wines of Cahors are made of Malbec predominantly, but the average wine-drinker is unaware of the association between the Cahors appellation and the Malbec grape. Clos La Coutale is a 45 hectare estate just a few miles west of the town of Cahors. Owned by Valmy Bern�de & his son Philippe, their vines average about 25 years of age. The vineyard is comprised of about 70% Malbec, with the balance split between Merlot and Tannat. Their 2014 Cahors is a nice expression of Malbec. The wine is medium-bodied, but not especially tannic or harsh. Although there are Cahors wines which are lavishly oaked to the point you can't distinguish what sort of wine you're drinking, this isn't one of them! You'll find some dark fruit notes on the nose and palate. The wine is smooth enough to pair with a savory chicken dish, but big enough to stand up to lamb, duck or beef dishes, too. By the way, you may see the Coutale name on a line of cork-pullers. Same guy. He was annoyed, years ago, when trying to use a plain old corkscrew and it was a challenge removing the cork from the bottle. Shortly thereafter, the fellow sat down at a drawing table and designed one...and today he sells thousands of dollars' worth of corkscrews or, as the kids say these days, "wine keys." This little estate comprises some 15 hectares of vineyards, we're told and it's owned by the same fellow who owns La Coutale (see above). Philippe Bern�de acquired this nearby domain and he's making a rather different styled Cahors. The Ch�teau La Grave wine is an unblended Malbec and it's a slightly more rustic version of Cahors. The grapes have a longer period of skin contact, spending as long as 5 weeks before they're pressed. It's then aged for about a year in large wood tanks and bottled without fining or filtration. We have the 2013 vintage in stock presently. It's a good bottle of wine, perfect when paired with a steak, duck or lamb. You may find this to be a more satisfying wine than similarly-priced bottles of Cabernet or Merlot from California or Bordeaux. 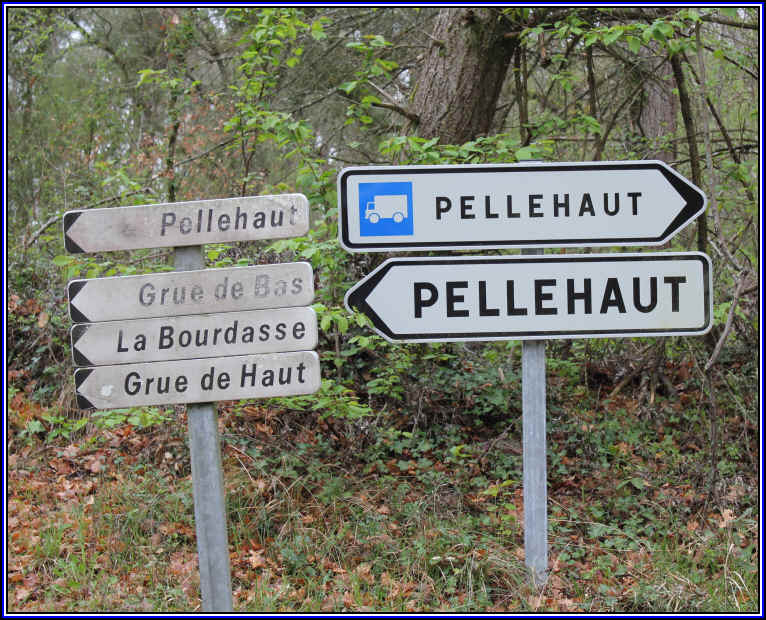 We have had wine from the Pellehaut domaine for well more than a decade. Off and on, though. The wine was first brought to us by a top, small, local importer whose wife's family has lived in the same area. These days this comes through a slightly different channel and the wine remains good quality and carries a small price tag. 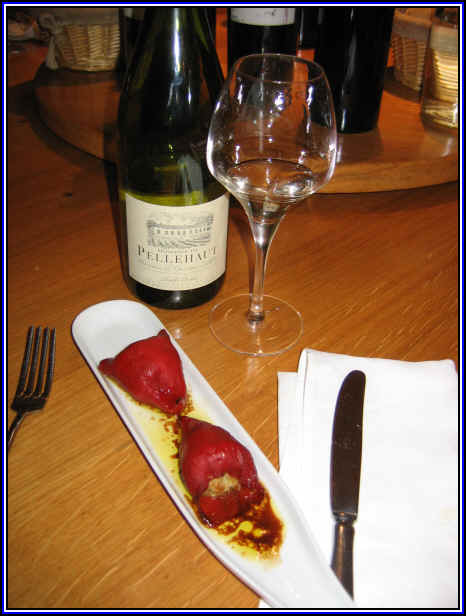 Pellehaut's "Harmonie" White wine carries the C�tes de Gascogne appellation. It's made with an eye towards economy, so the fruit is machine-harvested. The blend features Chardonnay, Ugni Blanc, Folle Blanche, Colombard, Gros Manseng and Petit Manseng. No oak. Just good, fresh fruit notes. We find hints of peach or apricot, along with a touch of lemon, ripe pear, etc. This is a wonderful cocktail white and it's ideal paired with seafood. In addition to making some nice little table wines, the estate produces very good Armagnac. We have one of their brandy bottlings in the shop and it's our best buy for a good quality Armagnac. Also they raise cattle. Blonde d�Aquitaine, to be specific. 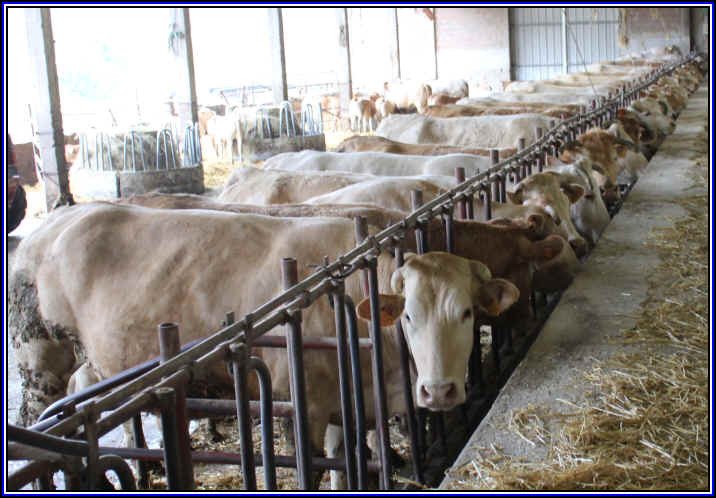 Yes, it's not every winery one visits that has cattle feeding just outside the cellar door! 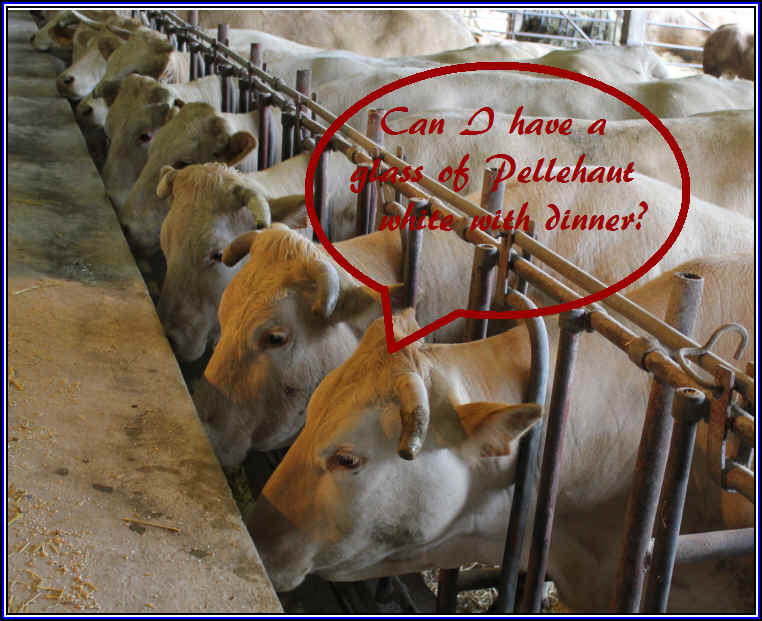 We also suggest trying the whites from Pellehaut's neighbors: Chiroulet and Domaine Duffour.